Ruin of the Reckless was created by Faux-Operative Games and was originally kickstarted on August 17, 2016, with a beta version later released on Steam Greenlight. 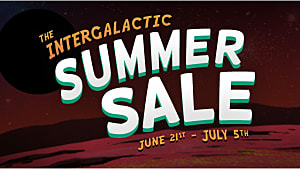 After less than a year and exceeding its original goal of $10,000 on August 28 of last year, the game was released on Steam on April 26. 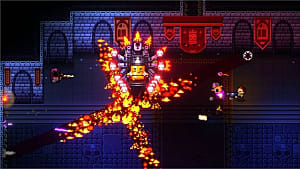 Ruin of the Reckless is one of the most interesting games of the roguelite genre because of its mystical and mysterious story, as well as its unique gameplay. Here's the full breakdown of why you should give this new indie roguelite a try. In Ruin of the Reckless, a mysterious tower appears after main character Stargrove meets some adventurers that come to his village -- but are not as they appear to be. The arrival of the adventurers alongside the tower causes Stargrove to seek revenge for the people of his village. It had been said that anyone strong enough to reach the top of the tower would be granted one wish, so Stargrove decides to go on his grand adventure and travel up the tower himself. 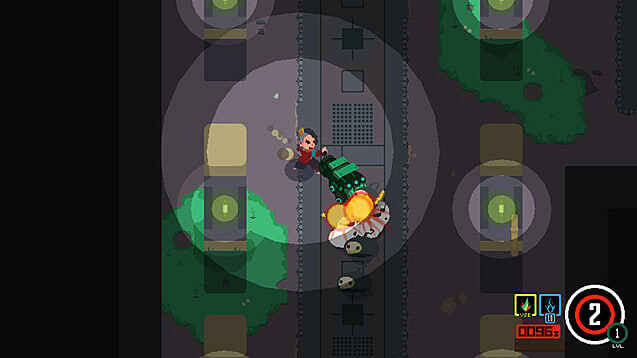 The art style of Ruin of the Reckless is a bit different from what you might expect of a roguelite. 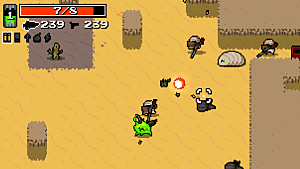 Enemies are highlighted due to the pastel colors used, which can be very beneficial in later levels when fighting against large hordes can become frenetic. 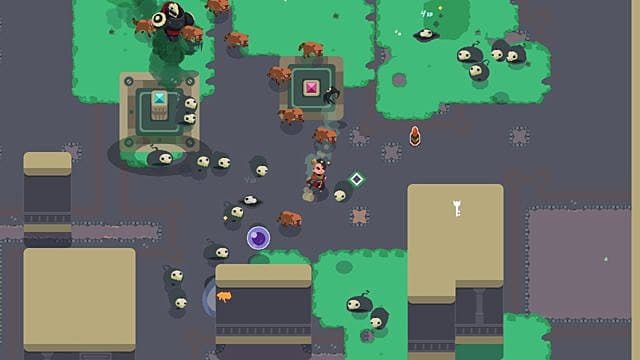 This is in contrast to other roguelike games where having too many enemies on screen can be chaotic and confusing, which can make it difficult to move around and know just how many enemies you're up against. The later levels of Ruin of the Reckless may still be chaotic, but the pastel colors help make it much easier to tell where everything is -- and who you're fighting against. 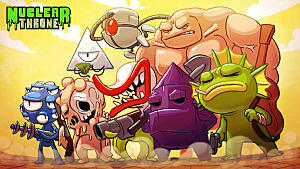 The game's features, which are listed on its website, include: difficult and fast-paced gameplay focused on exploration and melee combat, randomly generated challenges that change with every attempt, cooperative play, and an action-packed world filled with weapons, traps, secret passageways, powerful artifacts, formidable enemies, and more. Ruin of the Reckless starts you out with a rather weak primary weapon, but you can easily find stronger weapons as you make your way through the tower. There are also secondary weapons, which are obtained and upgraded by using special ability orbs found throughout the tower. Physical weapons aren't your only attack, however, as you can find ancient spellbooks that allow you to cast different spells. These spells can be charged up as well, but once the magic energy of a spellbook runs out, you will have to find another one to be able to use spells again. In addition to weapons, there are also different types of boots you can equip to change and modify your dashing ability. These boots can help you dash longer and further, chain multiple dashes at a time, and help you avoid deadly hazards, in addition to many other different perks. The game also features equipable cards, which are obtained by completing special challenges. Equipping cards is completely optional, but they can be a major help. There's a Baby Mode card for those having trouble with the game's difficulty and a Death's Door card that makes all enemies die in just one hit. 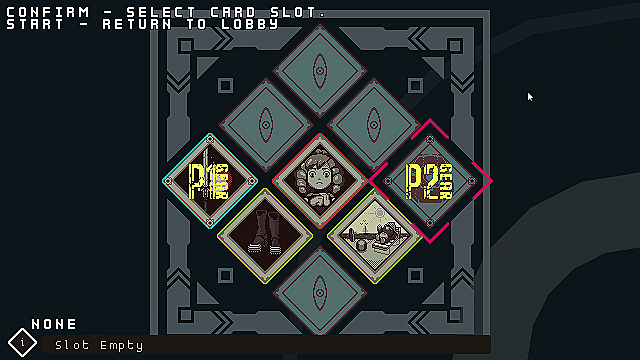 Different cards can be combined before starting your run to create a unique experience, although combining the two cards above may make the game a bit too easy. 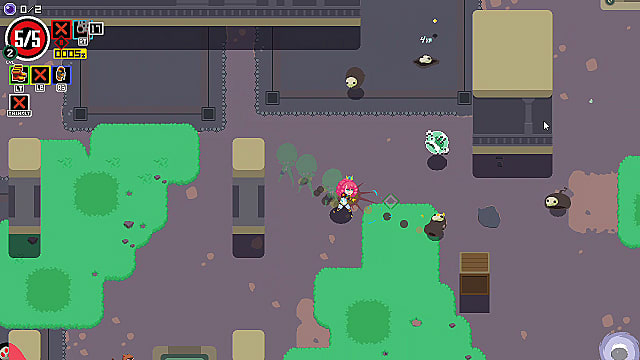 Enemies in Ruin of the Reckless are a bit craftier than what you might expect and can organize their patterns into different dangerous combinations as you fight your way toward the top of the tower. Certain enemies even have the ability to command weaker ones into coordinated formations. Ruin of the Reckless also features a Gift Shop inside of the tower where you can buy additional items to better dispatch your foes. One of the most interesting features in Ruin of the Reckless is the option to play cooperatively with another player. Roguelikes are primarily single player experiences, but it's not a feature we haven't seen in the genre before. 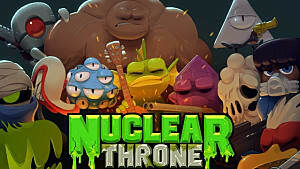 Games like Nuclear Throne and Dungeon of the Endless also feature optional co-op play, although unlike Ruin of the Reckless, those games feature gameplay elements of other genres -- such as shoot'em ups (Nuclear Throne) and tower defense (Dungeon of the Endless) games. Ruin of the Reckless is a bit closer to The Binding of Isaac in terms of how it plays, with some similar Legend of Zelda inspired mechanics. "We want to capture the feel of 16-bit classics like The Legend of Zelda: A Link to the Past while providing a major graphical update, upping the pace, adding challenge and randomness, and letting you play with your friends." 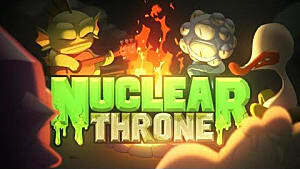 Another similarity to The Binding of Isaac, the quality of Ruin of the Reckless is top notch. 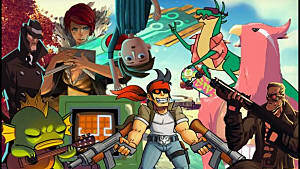 Featuring stylish graphics, a brilliant soundtrack that sounds like it could have been in the Scott Pilgrim vs. the World video game, and rewarding gameplay, Ruin of the Reckless is sure to please any fan of the genre. 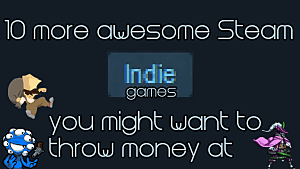 It's only available on Steam at the moment but hopefully, will make its way to other consoles in the future. Buy Ruin of the Reckless on Steam for $14.99.